This CNN video clip discusses the price of purchasing a slave today. Yes, today. Despite the widely held belief that slavery started and ended with the Southern states, it has always existed, and still exists today – only at rock-bottom prices. As the report points out, a slave purchased in the 19th century would have cost about $40,000 in today’s dollars. That is a major investment. No one neglects and mistreats a valuable investment if they expect to make a profit. On the other hand, the price of a slave today is only $90, making them about as disposable as a Styrofoam cup. Where is the NAACP? Why are they not demanding an end to slavery now? The answer: they are too busy being “offended” by the sight of the Confederate flag. Apparently, being “offended” is quite appealing when it comes to fund-raising and political pandering. 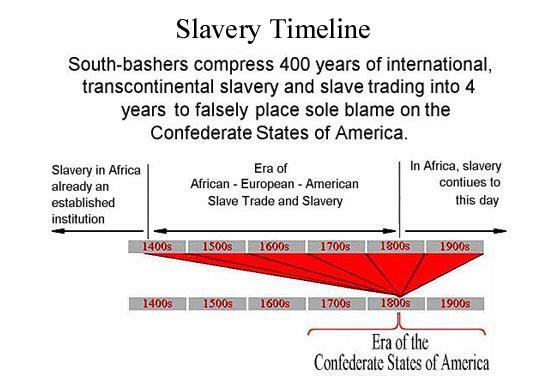 Real slavery just isn’t very interesting to those who are busy claiming to be oppressed because some people of their race were slaves in America over 150 years ago.